Do You Want to Buy Silverfin™ Fish Cakes? Click the Button to Visit the Official Silverfin™ Website! 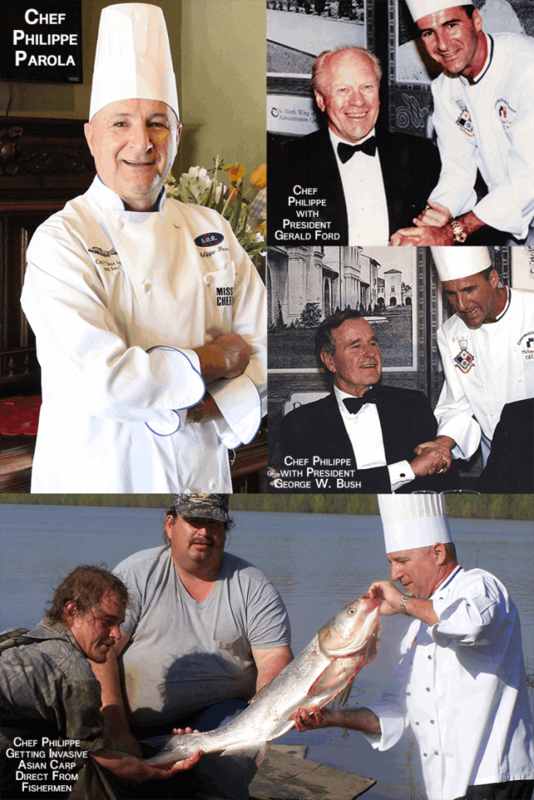 Chef Philippe has over 30 years of experience in the restaurant industry and has an impressively long list of award winning achievements and professional accomplishments on both national and international levels. He is know around the world for his expertise in professional food operations. Chef Philippe Parola is now focused on teaching consumers how to eat healthy while cooking at home, helping restaurant owners and chefs achieve their highest potential in their food operations, and helping manage invasive species by turning them into tasty, edible foods . Chef Philippe and his team offer hands-on consulting at your location. We strive to deliver real, profitable solutions that cover everything from concept to launch to everyday operations. Through evaluation, planning, training, and market analysis, Chef Philippe and his team will give you and your restaurant valuable five-star culinary and business guidance regarding your restaurant. We will help you think through your options and develop short and long term plans that will offer your restaurant sustainable growth and provide you with the means to be successful. Chef Philippe Parola and his team have the knowledge, experience, skills, and passion to quickly and efficiently deliver the solutions that are right for your restaurant. Your goal is to have a successful, profitable, and efficient business that will benefit the community, your investors, and yourself over the long term. Let us help you achieve that goal. Click here to call Chef Philippe right now, and talk to him about your consulting needs. Scroll down to learn more about our services. We offer a variety of services for your food operations business. Begin learning more about how we can help you and your business become a success or become a bigger success than you alreay are. After you look around a little, give Chef Philippe a call. We would love to hear about your business and look forward to getting to know you.